Our dear friends the Dutch! The first vineyards were planted in the Near East, in a region that covers Georgia, Armenia and northern Iran. 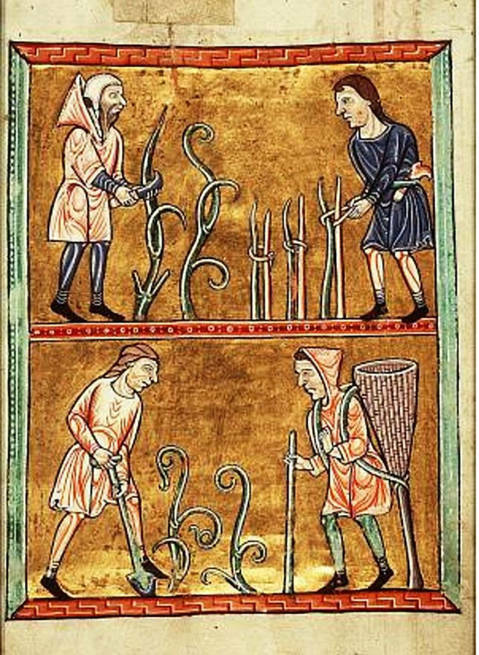 • The first iconographic or written vestiges of vine cultivation date back to 2,500 BC. • Around the 6th century BC, vines were introduced into Southern Gaul via the port of Marseille with the arrival of Greek and Phoenician sailors. The discovery of a grape variety that resisted the harsh winters brought a development in the vineyards of Bordeaux. • This grape variety brought prosperity to the Roman occupation, which established Pax Romana and led to smoother trade relations. • After the Fall of Rome and five centuries of invasions, monks were the one to rescue Biturica's genetic legacy by protecting and tending the parcels of land surrounding churches and abbeys. From the Middle Ages, the vineyards of the Gironde became the oenological and commercial model that continues to be today. • In 1152, the union between Eleanor, Duchess of Aquitaine, and Henry Plantagenet, the future King of England, sealed the fate of Bordeaux wines forever. • Bordeaux established a monopoly in the production, sale and distribution of wine to Great Britain. The vineyards extended to Fronsac, Saint-Émilion, Cadillac, Barsac and Langon. Saint-Émilion, the oldest of Bordeaux’s wine guilds, was founded in 1199. The flow of trade was stopped dead in its tracks by the bloody Hundred Years' War between France and England. 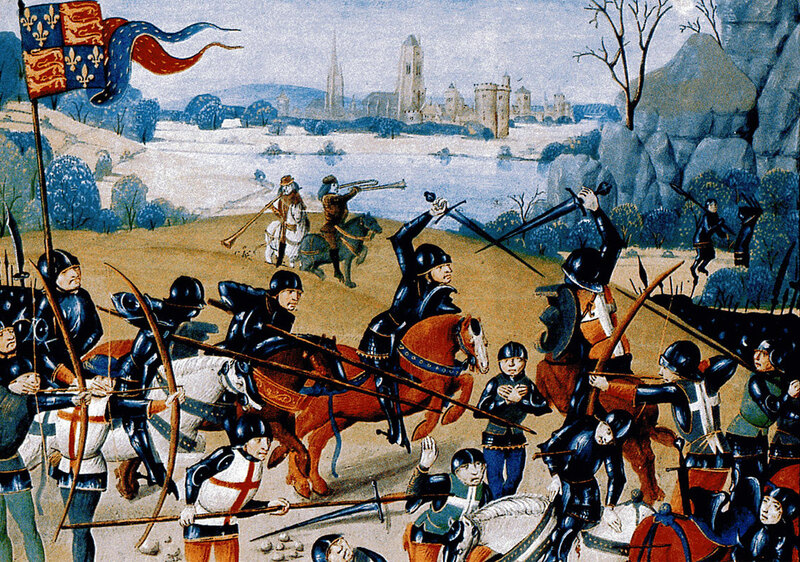 • 1453: The battle of Castillon saw Aquitaine returned to the French, and Bordeaux found itself abruptly deprived of its trade links with England. • 1475: Things returned to normal, and Louis XI authorized British ships to return to the port of Bordeaux. But trade was never restored to its former glory. An era of prosperity began in the 17th century, with the emergence of new customers: the Dutch, the Hanseatic League and the Bretons. 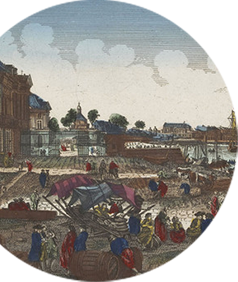 • As important traders and buyers, the Dutch steered production towards the first fine wines, such as the famous ‘Ho-Bryan’ that would go on to become Haut-Brion. They brought innovation, sterilizing barrels with sulphur to facilitate the conservation and transportation of the wines. • Winemakers in Bordeaux provided the traditional clarets (clairets) as well as sweet and dry white wines earmarked for distillation. New French Claret was the prototype for modern Bordeaux red wine. • During colonial times, Bordeaux developed its trade by exporting wine to Saint-Domingue and the Lesser Antilles. • England set the trend for fine and full-bodied wines with high ageing potential, in demand by London’s high society set. 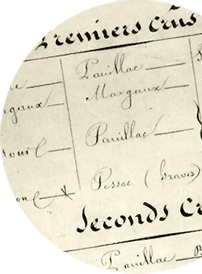 • Thomas Jefferson, future President of the United States, called at Bordeaux in 1787, and spoke of a classification of wines that had been established by wine merchants. A new golden age began in the early 19th century. Production doubled, exports tripled, and the English love affair with Bordeaux was back on track. • Quality improved with the 1855 Classification system, at the request of Napoleon III, to mark the World’s Fair. • Powdery mildew, a dreadful vine disease, hit the vineyards in 1851. In 1857 it was discovered that spraying sulphur on the vines could eliminate the disease! • Between 1875 and 1892, it was phylloxera’s turn to hit, destroying the entire vineyard. Eventually the vines were saved by grafting Bordeaux scions onto American rootstock that could resist the disease. • Mildew followed in phylloxera’s trail. This parasitic fungus was brought under control when Bordeaux mixture was invented, a blend of slaked lime and copper sulphate. The eradication of diseases and the rapid expansion of the vineyards brought fraud and a drop in prices. The guilds were united as part of the Grand Conseil du Vin de Bordeaux. Implementation of the classification system for Saint-Émilion. 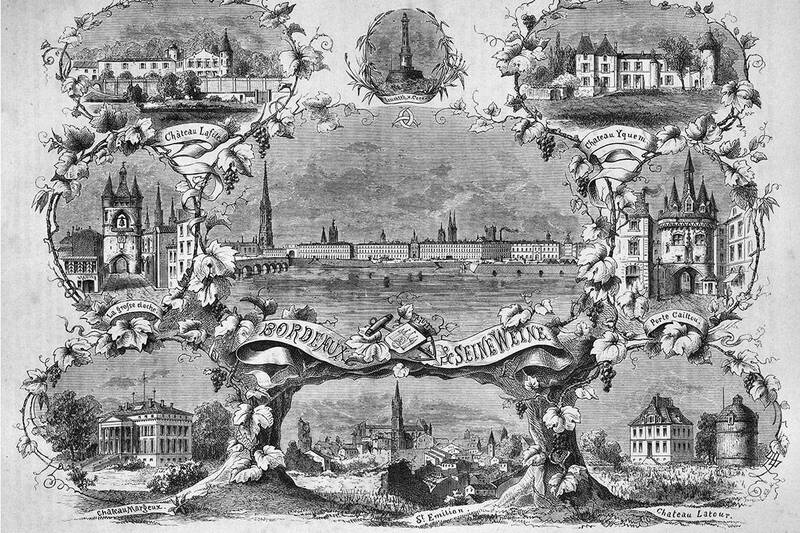 After some catastrophic frosts, Bordeaux recovered its prosperity and returned to its leading position, revered all around the world. Creation of the new AOC Pessac-Léognan. Striving to perpetuate the expertise of their forebears, the new generation of thirtysomething Bordeaux winemakers found the right compromises between tradition and modernity. • They joined together in a multi-disciplinary network with the aim of developing efficient and sustainable viticulture that would rise to the challenges of the 21st century in terms of oenology, technology, and the environment (the innovative approach put forward by the Environmental Management System, research into how best to adapt viticulture to climate change, etc.). • These winemakers innovate through the oenology faculty in Bordeaux and its many different research organizations which contribute to the development of new intelligence. 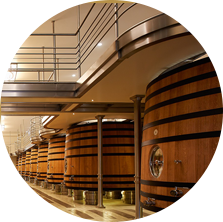 • They take bold steps with new contemporary vathouses that are as attractive as they are effective, to benefit the winemaking process. • They join forces with associations of young and talented Bordeaux winemakers which put on festive events based on wine to make it accessible for all. With the Cité du Vin wine museum, the wine tourism routes and activities, and as a UNESCO World Heritage Site, beautiful Bordeaux is set to move closer to Paris in 2017, with the opening of the high-speed line that will take passengers from one city to the other in just two hours and five minutes. • Wine tourism in Bordeaux is booming. Châteaux are opening their doors to enthusiasts, to reveal their history and production secrets. Introductory programs are organized by international tour operators and specialized agencies in Bordeaux. • There are an increasing number of Bordeaux wine experiences to enjoy in all four corners of the world. 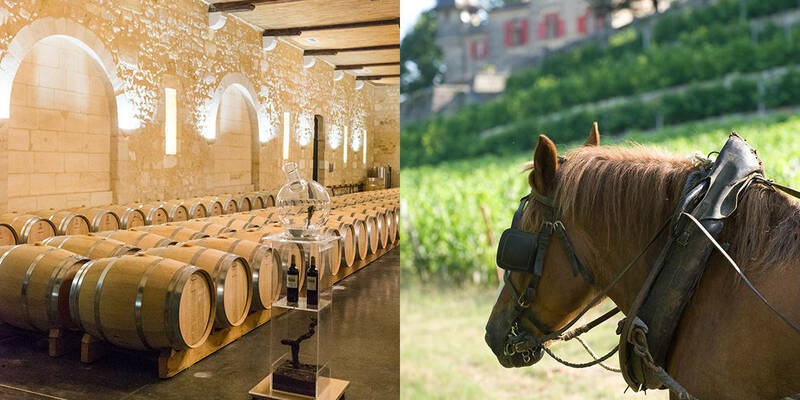 Wine bars, unique getaways, food and wine pairing workshops or even classes at the École du Vin in Bordeaux. Bordeaux is the hub of some truly outstanding possibilities for all ages and tastes: young people, adults, those who are simply curious, or even enlightened enthusiasts.